Soccer meets driving once again in the long-awaited, physics-based multiplayer-focused sequel to Supersonic Acrobatic Rocket-Powered Battle-Cars! Choose a variety of high-flying vehicles equipped with huge rocket boosters to score amazing aerial goals and pull-off incredible game-changing saves. A futuristic Sports-Action game, Rocket League, equips players with booster-rigged vehicles that can be crashed into balls for incredible goals or epic saves across multiple, highly-detailed arenas. Using an advanced physics system to simulate realistic interactions, Rocket League relies on mass and momentum to give players a complete sense of intuitive control in this unbelievable, high-octane re-imagining of association football. 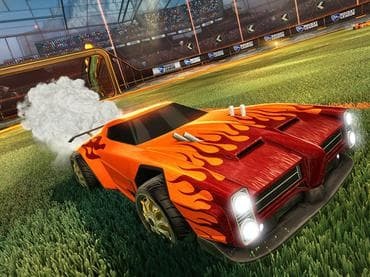 Если у Вас есть вопросы, связанные с игрой Rocket League пожалуйста используйте эту форму для связи с нами.